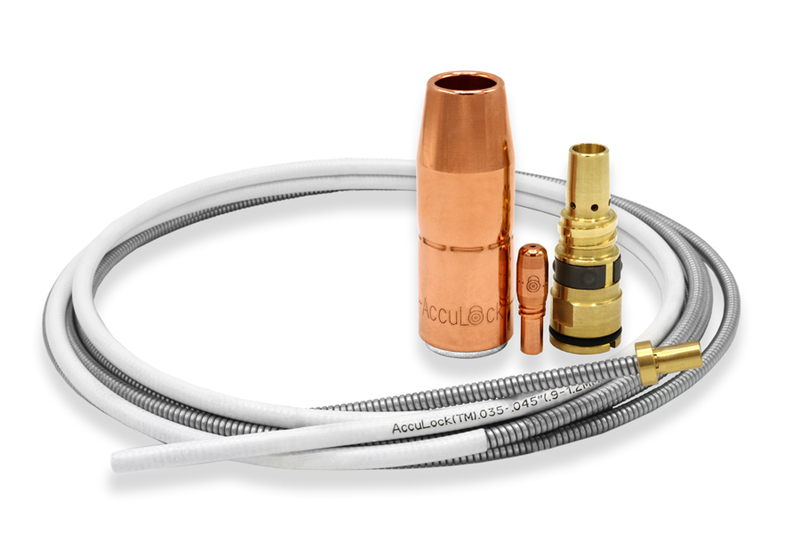 Bernard announced its AccuLock S consumable system for higher productivity and optimized wire feeding, while also simplifying installation and maintenance. The system includes a contact tip, nozzle, gas diffuser, liner, and power pin and power pin cap. The consumables solve issues associated with poor wire feeding in semi-automatic MIG welding, such as birdnesting, burnback and erratic arc. The system locks in place and concentrically aligns the liner with the power pin and contact tip for a wire feeding path with no gaps or misalignments.